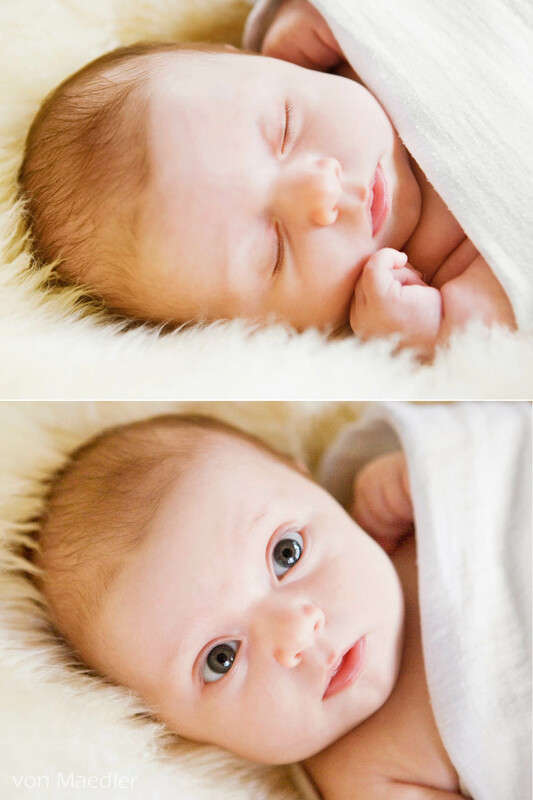 This is little Isobelle who was five weeks old at her first baby portrait photography shoot. She was just a delight to photograph as she drifted in and out of sleep during her afternoon photo session. Like most babies, she was very particular about the way she slept. Isobelle was the most happiest when she was swaddled with her little scrunched up hand pocking out the top. Julie is doing a great job as a second time Mum. Isobelle’s older brother Lachlan was also there and being so well behaved and very proud of his new little sister; hanging around to see if he could help and telling me who she looked more like.